Introducing HERO7 Black, the most advanced GoPro ever. HERO7 Black takes Emmy® Award-winning GoPro performance to a whole new level. Incredible high-resolution 4k60 video and high frame rate 1080p240 video enable stunning, immersive footage of you and your world. 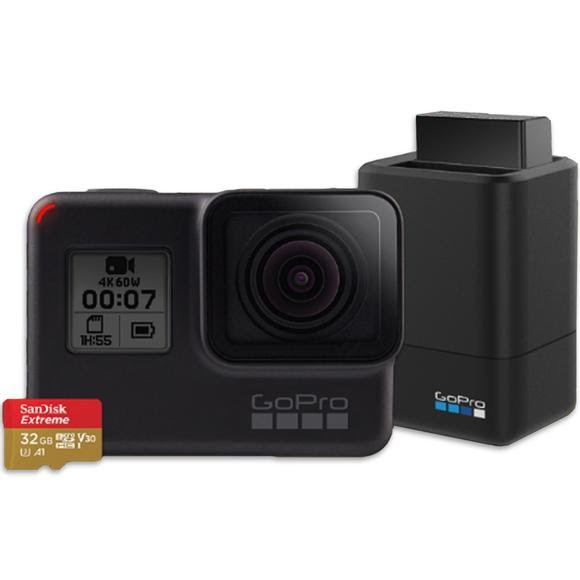 Bundle Includes HERO7 Black Camera, Dual Battery Charger + Battery and SanDisk 32GB microSDHC™ card.